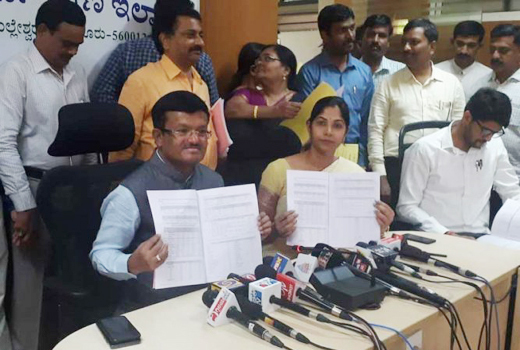 Bengaluru, Apr 15, 2019: Udupi district has topped the state with a 92.20 pass percentage in the Second PUC results announced today. The second place went to Dakshina Kannada with a pass percentage of 90.91. Kodagu district has secured the third place with a pass percentage of 83.32. The overall pass percentage is 67.73 and as every year girls have outperformed boys. The results were announced by PU Education Board Director C Shikha. The results will be available on the websites kseeb.kar.nic.in and karresults.nic.in from 12 noon onwards.